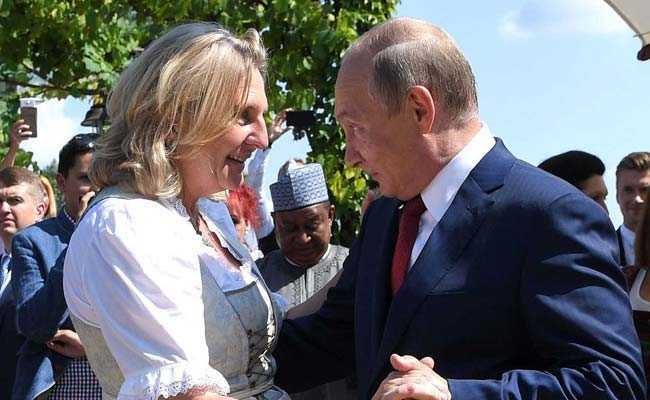 Russian President Vladimir Putin danced arm-in-arm with Austria's Foreign Minister Karin Kneissl at her wedding on Saturday. 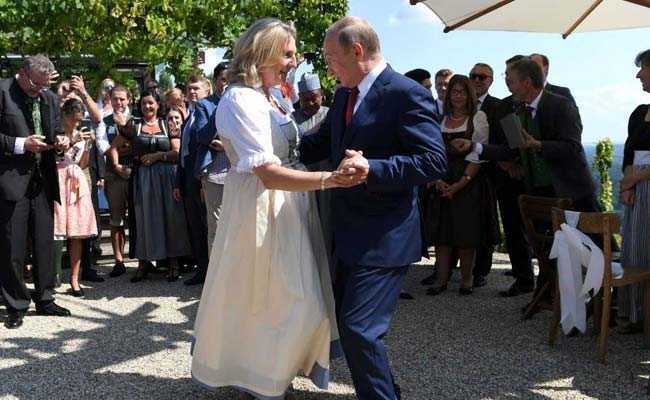 Photographs showed Kneissl, 53, smiling in a long white and cream "dirndl" dress and talking to Putin as they danced in a vineyard in southern Styria province, the venue of her wedding to entrepreneur Wolfgang Meilinger. Putin - who made a toast in German at the wedding, according to the Kremlin - was pictured listening to her intently.